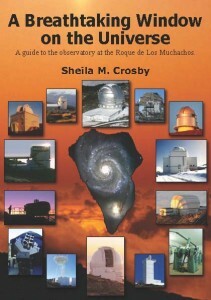 My father was a botanist, so he really looked forward to his first trip to La Palma. One of the plants he most hoped to find were burr marigolds – Bidens alba. But he later said he was trying not to hope too much in case he was disappointed. That made me laugh, because they’re an extremely common roadside weed. In fact they’re a right nuisance for exactly the same reason that made them exciting to my father. They have seeds that stick to your clothes. I mean really stick. A washing machine cycle won’t shift the darn things. You have to pick them off one by one, and it’s easy to get hundred of them. Small boys and dogs are particularly good collectors. The local name for them is “Amorsecalo” which seems to be either a mangled version of “unrequited love” (because it’s a pain, and hard to get rid of) or “Get it off, love”, because you need help with the ones around the back. 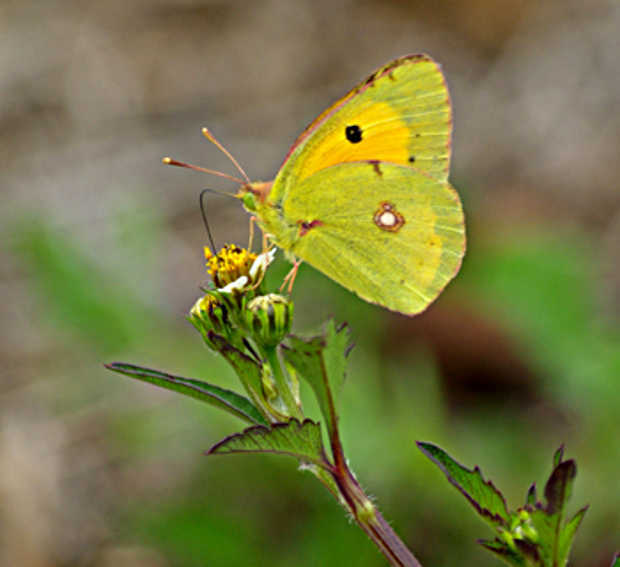 Oh, and the butterfly is Colias crocea. The tops of the wings are prettier than the undersides, but they always settle like this, because it likes to annoy photographers.